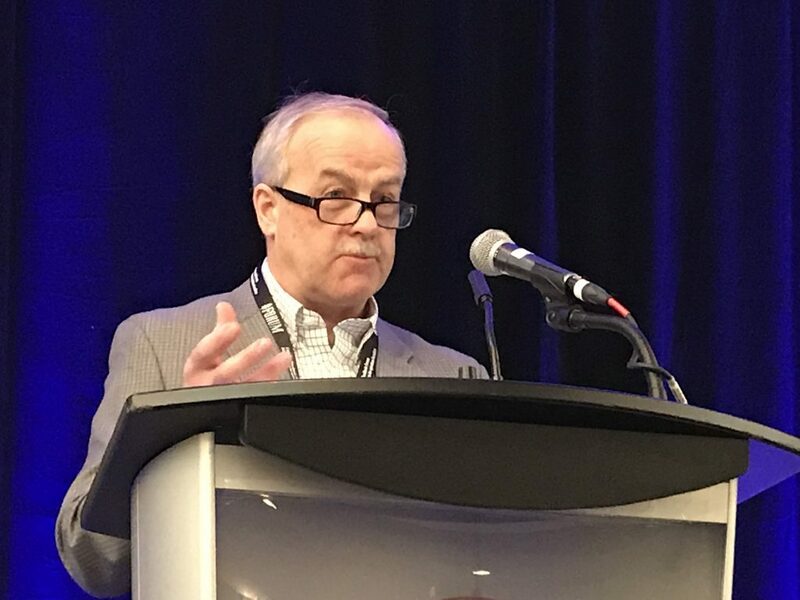 Peter Robichaud, executive director of the CWF, at the 2018 spring meeting and 99th annual general meeting. The Canadian Woodlands Forum (CWF) is a not-for-profit membership-based organization recognized for its commitment to efficient and profitable woodlands operations in support of sustainable forest management. Serving as the woodlands section of the former Canadian Pulp and Paper Association (CPAA), the mandate of the CWF is well-rooted and in consideration of its former organization, has offered members of the forest industry information services since 1919. To celebrate our centennial in 2019, we are planning a series of activities to commemorate a century of progress, including a look back at the forestry sector highlighting the challenges faced over the past 100 years, special newsletter features recognizing leaders and icons of the industry, and celebrating our success at the 100th anniversary and annual general meeting (AGM) of members in April. The 2019 spring meeting and 100th AGM will take place April 10 – 11 at the Delta Bausejour Hotel in Moncton, N.B. Mark your calendar now and come help us celebrate our 100th year of keeping forestry professionals informed and connected! For more information, click here, and for coverage from the CWF’s 99th annual general meeting, click here.